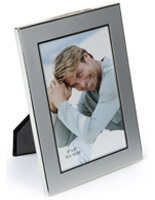 This silver picture frame for custom photographs is sized for 4" x 6" images. 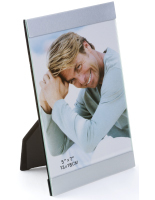 This framing can be displayed in horizontal or vertical orientation on a countertop. 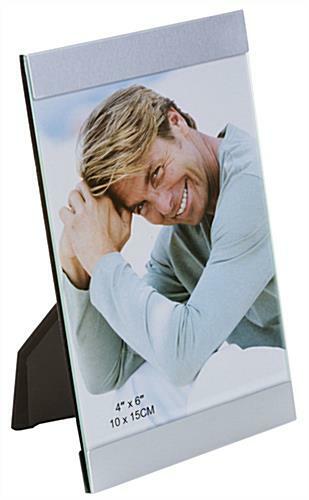 This picture frame, such as a photo display, is priced low, but it has tons of style and elegance! 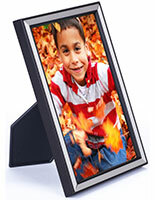 It features a simple, slide-in design for easy changing out of images. 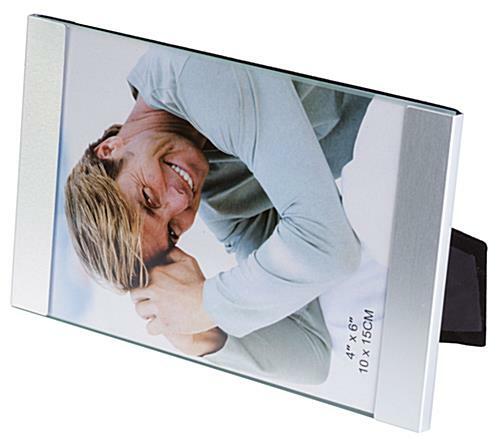 Just slide the two aluminum borders off and sandwich the photograph inbetween the glass lens and backer; then slide the borders back in place to keep secure. 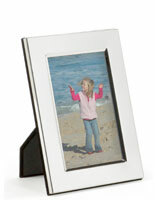 This affordable photo holder is beautiful, contemporary, and priced right! 6.5" x 6.4" x 0.25"
I ordered a LOT of these to use as centerpieces at a party months away, so I have only inspected one. It looks nice and was in perfect condition. My one issue is that removing the glass to insert a photo was very difficult. I'm not looking forward to doing that 30 times. We are sorry your purchase did not live up to your expectations Tova, one of our customer service representatives will reach out to you soon. Viewing area only 5 inches. Not all frames were even 4x6 - I had to trim some pictures to make it work. 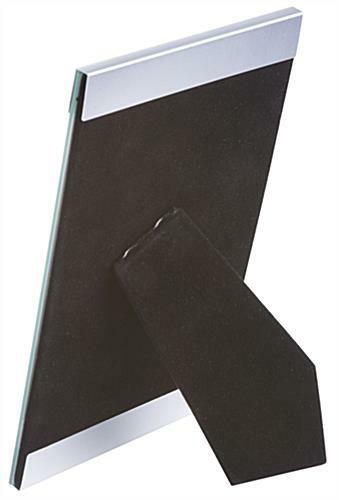 Both ends and glass have to be removed to insert picture. We are sorry that your order was a different size than you had expected, Sherrie. 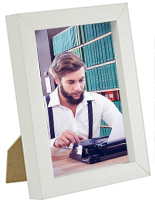 A customer care representative will reach out to you shortly. Great products for the price! Thank you for the 5 stars Christine! 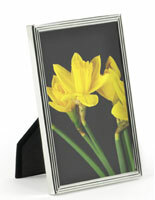 We'd love to see how you are using the frames!